It has an adjustable headrest with 5 positions that can be easily adjusted to suit the baby’s height. The height adjustment mechanism can also be used while the baby is in the seat, allowing you to adjust it to your baby for the perfect fit. The Gravity's fitted harness and headrest provide synchronised adjustment, and its 5-point harness spreads the load across the body better in the event of an accident. For newborn babies up to 60cm, it comes with a fitted cushion insert to correct the angle of the baby’s back. The reclining function operates with just one hand. 4 positions in both the rearward and forward facing position. With the reclining adjustment you can choose the most comfortable position for your baby. All of them are equally safe. Isofix + anti-rotation leg. This is the safest installation position, as it prevents any installation errors that could affect safety. Fewer installation risks compared to seats installed with the vehicle seat belt. Awarded GOLD in the Best Rotating Car Seat Category, and Silver in the Rear-Facing for Longer Category. Simple and secure to fit using a car's ISOFIX anchor points. State-of-the-art safety performance, by complying with the latest i-Size (R129) car seat regulation, and 360° rotating seat system makes entering and switching ride positions incredibly easy. It will take only a few seconds to secure your child facing you, then rotate the seat into the desired position. Simple and secure to fit using a car's ISOFIX anchor points. Rearward facing. For children of 40-105 cm tall (approx birth to 4 years old). Newborn cushion insert for babies of 40-60 cm tall included. Babies travel much more safely in the rearward facing position until they are at least 15 months old, although Jané recommends extending the use of this position for as long as possible, until the baby is 105 cm. Forward facing. For children of 76-105cm tall (approx. 15 months to 4 years old). With the new Gravity from Jané you can travel in the forward facing position, although here at Jané we recommend delaying the use of this second position for as long as possible. Reclining function with just one hand. 4 positions in both the rearward and forward facing position. With the reclining adjustment you can choose the most comfortable position for your baby. All of them are equally safe. Fitted harness and headrest that provide synchronised adjustment. 5-point harness that spreads the loads across the body better in the event of an accident. For newborn babies up to 60cm. Fitted with a cushion insert to correct the angle of the baby’s back. Isofix+anti-rotation leg. This is the safest installation position, as it prevents any installation errors that could affect safety. Fewer installation risks compared to seats installed with the vehicle seat belt. Adjustable headrest with 5 positions. The headrest can be adjusted to suit the baby’s height. The height adjustment mechanism can be used while the baby is in the seat. Newborn cushion insert for 40 to 60 cm baby's is included. Easily removed for washing or when baby out grows it. 360° rotating seat system makes entering and switching ride positions incredibly easy. Meets and exceeds i-Size safety standard by allowing extended rear facing to 4 years. Easy rotate the seat with just one hand, leaving one free for baby. Built-in features to avoid installation errors. 4 reclining positions in both the rearward and forward facing position with just one hand. Inside the seat is covered with materials that absorb impacts. Better external visibility for the child thanks to the height of the seat. Adjust the harness height and headrest in a single synchronised one hand adjustment. Adjustable headrest with 5 positions. Integrated 5-point harness with one pull adjustment. Includes a removable newborn insert to correct the angle of the baby’s back (for babies under 60cm tall). Some seats in other vehicles may also be suitable for fitting this child seat. If your make or model of car is not on the current approved list, then it is likely we haven't got round to checking that combination yet. It is also worth noting that I-Size car seats will fit all i-Size certified cars and almost all cars with Isofix anchors. For any further query, ask the shop assistant when you buy it, or ask JANÉ directly. I bought this car seat as I started suffering from back pain from carrying the baby in &out the car in the maxi cosi. It's a great car seat, easy to install and to use. I wanted a chair with a 360 spin, and after doing a lot of research, I decided to buy the Jane Gravity. I have not regretted it. The seat it is a bit bulky, but it has an amazing reclining and my baby is sooo comfortable. We recently acquired the Jane Gravity i-Size for our growing baby and this has proven an excellent choice. Baby happy, the chair reclines just enough so he can sleep comfortably without head falling forwards. Easy to manoeuvre which really helps with getting child in and out of the chair. Secure and sturdy. Very pleased. This car seat is incredibly easy both to install and use. It’s stylish, roomy and has lots of useful features such as the 360° rotation and the no-nonsense adjustable straps and headrest. But you do need to have ISOFIX in your car and it is pretty heavy so it’s not a car seat you can take out and about. I'm trying to establish if it would fit in a Ford Fiesta Zetec (2010) and a Volkswagen Passat (2008). Both cars have ISOFIX available. I've looked at the official list of compatible cars but there are very few cars listed and I have to assume it will fit many more than that. Could you please help? Jane UK Replies: Hi Matt, the fitting list is available to download from our GRAVITY PAGE on our website, scroll down the page further. It is a downloadable PDF file with the current list, of which your car is on and confirms the Gravity fits ok. Hope this helps. Jane UK Replies: The 2003 VW Golf Hatchback is on the pre-tested list of cars and the Gravity will fit fine. Does this car seat fit in a Vauxhall Meriva? We have two cars but don't want to buy two car seats. Is it possible to buy only a base for the Jane Gravity (iSize)? 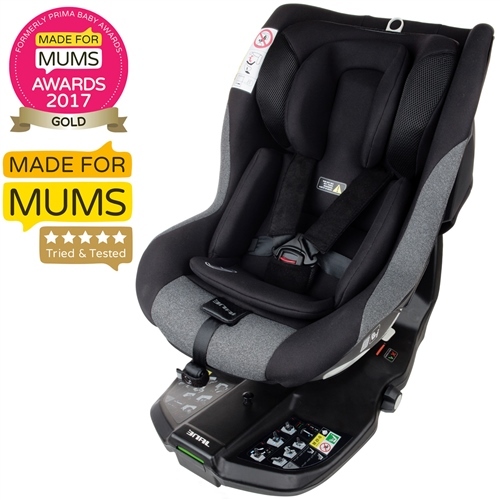 Jane UK Replies: Hi Lizzie, sorry but no, as the car seat swivels the base is built into the whole system to maximise its strength. It usually only infant car seats which have carry handles that have a separate base so they can be removed to be used outside the car on a chassis as a travel system. Bigger seats, the child would be too heavy and therefor car seats for older children tend to stay in the car. We're very happy with our Gravity (iSize) car seat. Do you sell separately the anchor brackets which attach to the car's Isofix fittings? Will this car seat fit in a Seat Ibiza? Jane UK Replies: Yes your car has been tested with the Gravity iSize car seat and fits perfectly well. In fact the Gravity will fit all modern cars that have ISOFIX and the only things to check for, as with all car seats, is that any AIRBAGS are switched off on that seat position, and that the floor in which the support leg is placed onto is solid; no underfloor compartments. If it does have a compartment, then you need to speak to your car dealer for a filler, or check that the support leg can extend to the solid floor of the compartment. Hi, I can't see Lexus on your list of approved cars for this product. I know we have isofix in it - it's a 2007 GS300. Do you know if it's compatible? Jane UK Replies: Unfortunately Jané have not got round to physically trying the Gravity in your model of vehicle yet. However the Gravity will fit all modern cars that have ISOFIX and the only things to check for, as with all car seats, is that any AIRBAGS are switched off on that seat position, and that the floor in which the support leg is placed onto is solid; no underfloor compartments. If it does have a compartment, then you need to speak to your car dealer for a filler, or check that the support leg can extend to the solid floor of the compartment.